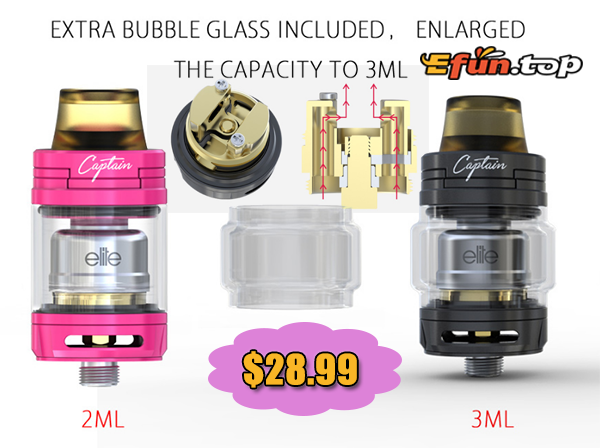 IJOY CAPTAIN ELITE RTA is a versatile and powerful RTA with compact and small size, cool color and gold-plated deck for very good conductivity. The new-designed MINI single coil RTA adopts unique way of bottom sides airflow to the coil directly, innovating the new way of single coil RTA, allowing good flavor of single coil and huge clouds. You can get it just for $28.99on efun.top!